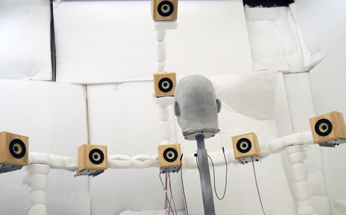 Our laboratory has been investigating how the human auditory system processes sounds. 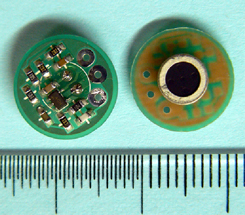 The aim of the investigation is to develop new information communication technologies that enable computers to have ears and that expand human hearing abilities. How our brain processes sound information can be getting a glimpse at by developing new sound processing tools, and visa versa. 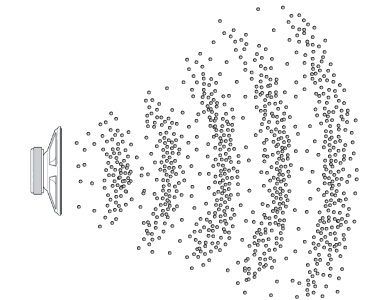 Sound is a physical phenomenon in its origin. It is a mechanical wave that results from the longitudinal motion of the particles of the medium through which the sound wave is moving. Sound, however, can be a psychological or even neurological phenomenon. 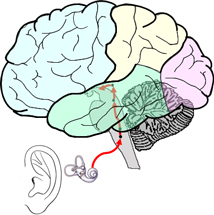 Sound stimulates a series of neural firing that generates sensation of hearing. That is to say, sound has multiple aspects. We use sound for communication, music, judging situations, cautionary signal, attention-seeking, and so on. Sound can annoy us as a noise as we are producing various types of sound. Widely various science and engineering areas deal with sounds. Although information and communications technology is rapidly advancing, the processes and principles that underlie human auditory information processing mechanism remain mysterious. The technology for manipulating sound and sound contents cannot be regarded as something unrelated to the mechanisms by which we humans process sound information. We can continue to be ignorant of these mechanisms, but the price would eventually have to be paid by ourselves and future generations. We therefore believe that it is increasingly important to gain a thorough understanding of how sound is perceived and generated by human beings. 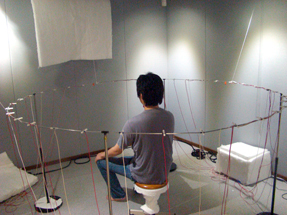 Current research projects include: perception of a moving sound, perception of binaural sound with a rotating head, the dynamic binaural reproduction system, the auditory tele-existence robot, the fast head-related transfer fuction measurement system, and pitch of tapping sound of a water-filled glass bottle. 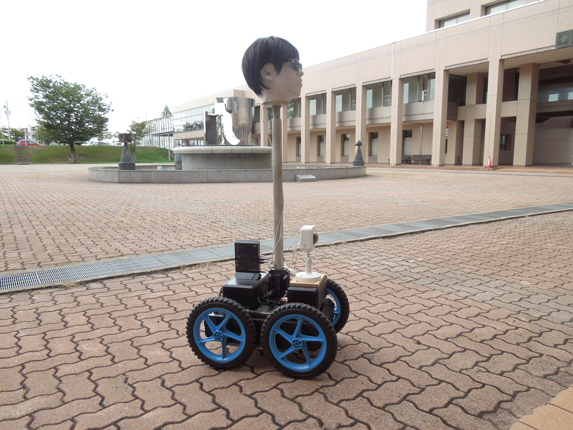 copyright (C) Hirahara, Mokhtari & Morikawa Lab., Toyama Prefectural Univ. All rights reserved.